It’s natural for seniors to want to stay living at home as they age. Elderly ones often live in the same house for many years – even decades – and have built lasting memories there. Although the majority of seniors prefer to live at home, some may have reservations about being alone or feeling too isolated. For seniors who have difficulty leaving home without help, isolation can quickly lead to depression. Being alone can also cause elderly persons to develop paranoia or fear. How can family members and caregivers alleviate these fears and help seniors feel safe and secure? 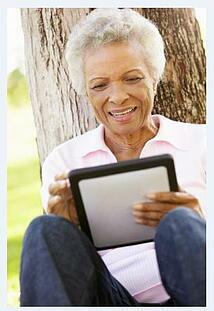 ClearCare Online’s homecare system and homecare software can help in 3 major ways. 1. 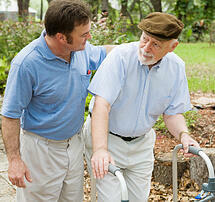 In-home care means a capable caregiver is there when needed. One of the reasons seniors may feel hesitant about living at home is the fear that they will no longer be able to successfully care for their basic needs – such as meal preparation or housecleaning. This is where a reliable caregiver comes in. Care providers that use an innovative homecare system or homecare software such as ClearCare Online will always know exactly what tasks need to be completed during each shift. Daily activities are outlined and described to each caregiver as soon as she clocks in, eliminating any ambiguity regarding patient care. 2. Family members can “check in” on loved ones anytime, from anywhere. ClearCare Online’s web-based homecare system gives families the opportunity to see what goes on at their relative’s home. Families can log into ClearCare Online’s homecare software on their computer, tablet, or Smartphone, and verify that the caregiver has arrived on time, and is completing all daily tasks as scheduled. 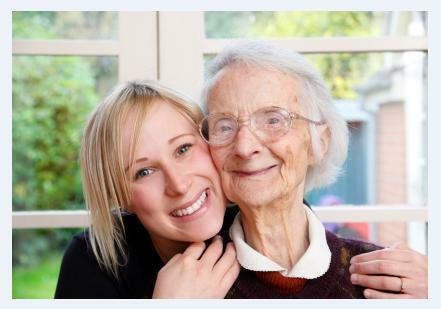 Families can then reassure their relatives that they are always keeping a watchful eye on their care. 3. Caregivers can take steps to make sure the senior and his home are secure. In our modern day and age, personal security is becoming even more vital. Living at home makes seniors vulnerable targets for criminals – in more ways than one. Unprotected elderly ones may become victims of fraudulent internet scams, bogus charities promoted over the phone, or even robbery of their homes. Working with a reliable home care agency that employs trustworthy caregivers can help eliminate threats like these. Caregivers can set tasks in their homecare software to lock doors and windows, or set alarm systems. ClearCare Online’s homecare system can also remind caregivers to go over important safety instructions with seniors using the internet, and give helpful tips for avoiding phone scams. Helping seniors feel safe and secure at home is one of the prime objectives of ClearCare Online’s homecare system and homecare software. For more tips on how ClearCare Online helps seniors enjoy life at home, check out this article on making homes more senior friendly.